Click here to See The Recommended Hoverboard Under $300 that comes with Bluetooth Connectivity + It does not Explode. If you have a budget of $300 and you’re interested in a hoverboard that can serve you well, I wrote this guide with you in mind. Hoverboards are the new sensation all around the world which explains the craze that has swept over both the young and adults. Hoverboards seem to be a modern household must have as the young generation view it as a trendy mode of transportation and entertainment. The high demand for these motorized scooters has forced manufacturers to keep production up, hence the wide variety of hoverboards in the market today. Although there are high priced hoverboards in the market today, the standard price is $300. This is ideal for beginners and those who want to sample this technical device and keep up with the trend. Here are some of the Best Hoverboards Under $300 you can choose from without fear of your gadget overheating or catching on fire. If you are looking for more than just mobility in a hoverboard, then this particular product is a good place to start. It is enabled with Bluetooth speakers which offer excellent stereo music while you are on the go. This connects to portable devices effortlessly and the volume can be adjusted without an app. Charging the 36V lithium battery pack of this motorized scooter is fast and easy. When empty, your scooter will be fully charged in about 3 hours. It also important to point out that it has an over-charge and an over-current. The Mega Wheels Self-Balancing Hoverboard is also designed with LED lights at the front which makes it safe to ride during the night. The lights are bright enough to facilitate visibility of the rider during the night. The charging port, as well as the power button, are well concealed underneath to prevent interference from dust and rain. However, it is not advisable to ride this hoverboard in rain. The tire of this Scooter is of solid construction and measures 6.5 inches. This is a perfect tire inch for children as they can control and ride it comfortably. This is an ideal thickness for multiple terrains and can even go up to 25 degrees. The maximum weight allowed on the Mega Wheels Self Balancing board is 265 lbs. It has strong dual motors with a maximum speed of up to 12 KM per hour, a running distance of 10-15 KM and a climbing capacity of 15 degrees. It weighs 26.65lbs with a maximum user weight of 265 lbs. 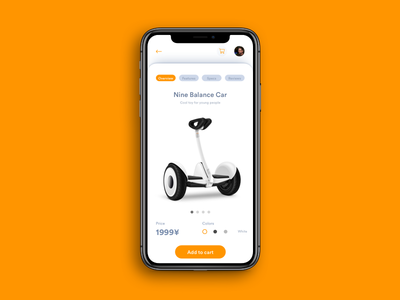 If you value the beauty of technology then this smart, high-tech self-balancing electric scooter is a smart choice for you. It is intelligently engineered with a smart design that facilitates a safe mount as well as a smooth ride. This is another cool hoverboard under $300. It features a shutter resistance polymer frame with anti-slip rubber platforms and a fender bumper protection. This way, you can ride for longer comfortably. Before its release to the public, the Coocheer hoverboard goes through 159-point safety testing to ensure that its electric system and battery are totally safe and pose no risk of overheating and/or explosion. It is designed with a battery power-off protection that enables the hoverboard to charge fast while remaining cool. This will then alert you to slow down then cut off the charger in order to prevent an overcharge. The temperature sensor will detect high temperatures on the scooter when ridden too fast, above 10 Km/h hence alert the user to slow down. This helps to keep the young users safe. A full charge will take you seven miles. The TOMOLOO hoverboard weighing 22.1 pounds is designed with an advanced mainboard system that protects the scooter from crashes. The battery area is also well covered hence no water penetration. This is an ideal hoverboard for the whole family. It is designed with a safe stop technology that favors beginners and children. It is made using ABS+PC+Flame retardant/ fireproof materials which keeps it safe from overheating and catching fire. It is designed with Bluetooth 4.0 technology music playback that keeps your rides interesting and fun. In addition to this fun feature are 6.5-inch wheels with 5 lights that come on in four different LED colors which switch on randomly. The light feature depends on the music being played which only makes the hoverboard a head turner. The rubber tires are waterproof and the charging port is also well concealed with a waterproof cap which facilitates safety. It can go from 6-8 mph — hence fast. Previously, there were some genuine concerns about the safety of hoverboards seeing that some were overheating and catching fire. This set back was thoroughly looked into and ruled against in the top-selling hoverboards. Although these are within the standard price range, they guarantee high performance and a couple of head-turning features, for instance, the LED light, which make it ideal for both children. The Bluetooth speakers are a definite winner with these hoverboards hence a must have for adults. Given the safety measures and high tech features, these hoverboards are definitely a worthy purchase.